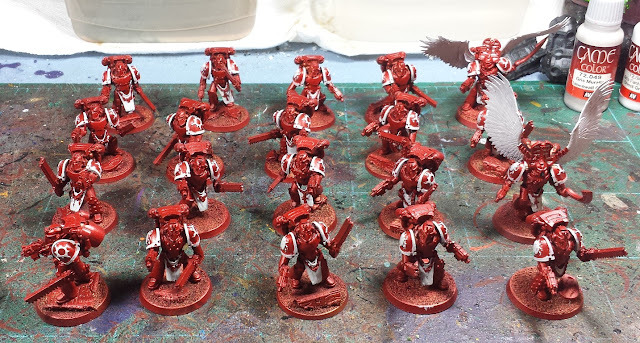 Mordian 7th Regiment: Heresy Era Thousand Sons - Assault squads painting begins! Heresy Era Thousand Sons - Assault squads painting begins! The weather has turned rather warm here, meaning it's getting unpleasantly hot up in the hobby loft but I have managed to sneak in a session or two in the mornings while it's still reasonable up there. Figured it was time to knock out a few more troops choices, so the assault squads came out of the foam and onto the painting desk! Not a whole lot of excitement so far, just blacked in all the joints and laid in the first two greys and whites on the trim. So far so good though! 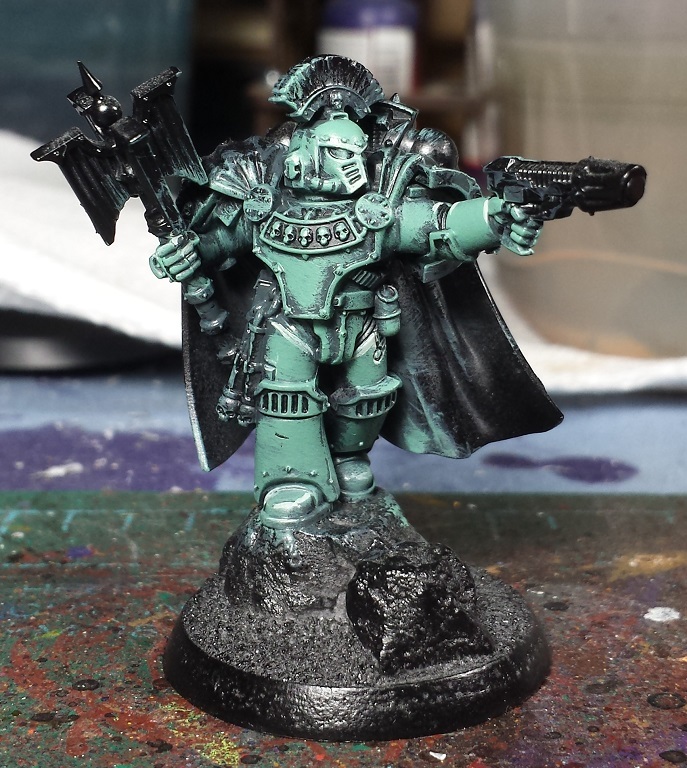 As a bit of a teaser, I quite enjoyed the green color the Sons of Horus NOVA Charity Army recipe suggested, and after painting up the helmet of one, it was a foregone conclusion that I'd try it out on a full model. Fairly straightforward, it's Vallejo USMC Tank Crew as the mid-tone, with a 50/50 mix with black for the undercoat and the USMC Tank Crew Highlight as the, well, highlight. I rather think there's going to be more of this in the future once I get on the other side of all these Thousand Sons! Def loving the sons of Horus green too. Those wings on the assualt sargeants, I do like them. The SoH chaplin is looking well. Slightly differently style than your usual, which can be fun. @Todd Sherman: Absolutely! I'm frantically painting as the time ticks by, really looking forward to NOVA this year! @NafNaf: Thanks very much! Gotta crank out more Troops choices for the KSons, and I'm pretty excited to do some Sons of Horus, mostly because I want to paint Horus, Abbadon and Loken! @Rory Priest: Cheers bud! The SoH guy was mostly just slapping paint around to get a feel for the seafoam green tone, but I'm rather liking it! 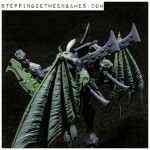 The wings make them look a little too blood angles for my tastes. But they still look good. The sons will be cool, any chance of sharing the recipe? @Col. Hertford: Aye, they'll be getting the ghostly green treatment which should hopefully de-BA them a touch. The SoH recipe is based on the vallejo "USMC Tank Crew" green, with the undercoat being a 50/50 mix with black, pure tank crew as the midtone, then the premixed "USMC tank crew highlight" as the highlight. Works a treat!